A safe, 2-4 day camp program for first graders and up. 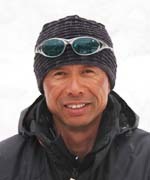 Classes are carried out by a skiing and training specialist with a carefully designed and effective curriculum. Classes available include skiing, snowboarding, and competition skiing. Classes are kept small with a class size of 3 to 7 students. Registration is now open for the 2016-2017 season!☆☆ ☆ The winter vacation is almost here! Schedule confirmation is possible from the palm of your hands via your cell phone! Using your phone, please read the QR code to the left. Lodging is in a clubhouse which is used exclusively for the Session Club ski school and is located in Sugadaira of the Nagano Prefecture. Students will stay with and receive lessons from a coach. As the clubhouse is a mere two minutes walking distance from the slopes, effective guidance and close supervision is always maintained. With guides available from the Tokyo Shinkansen Ueno Station, even solo travelers can participate with ease and assurance. Those not coming from Tokyo can also be guided from the Ueda Station or the local (Sugadaira) station. Class capacity is limited to 25 students. 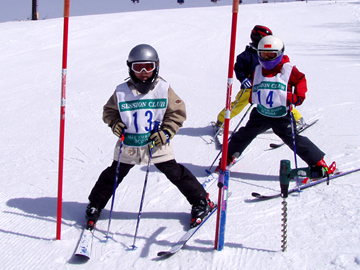 You can participate whether you are a first time or advanced level junior skier. 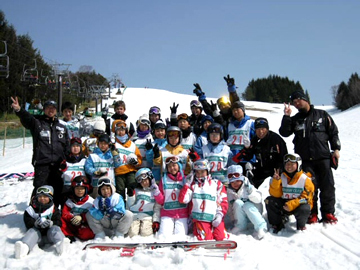 With only 2 days of practice, even first time child skiers are able to ride the lifts and slopes. 1 Groups consist of 5-6 people. Students will receive official international certification. From leading lessons, to taking care of the youth campers, leave it to me. Let's learn and have fun! I am great at caring for people and never forget that strictness must come with being kind.
. Please call me Charlie. Enjoyable for beginners or experts. Lessons are given according to level and in small groups. This is a class for the purpose of participating in competitions. The focus of the practice is mainly on pole training with the aim of participating in the competition. Helmets are required (rentals available). Practicing good sportsmanship is also a focus of the class. Early on, we will teach the many elements of sliding and carving techniques. 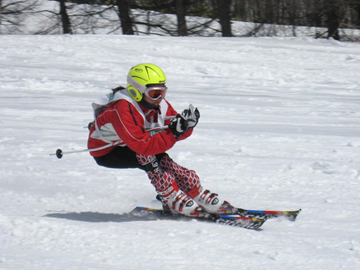 We put a strong focus on accurate ski control, including how to move your knees practically and positioning of the waist. No international certification is awarded in the competition class. 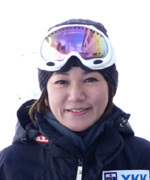 The Chanp of Gifu-Kokutai in 2012.The Chanp of World Cup Ski Cross in Naeba. Advanced students doing their best in tournament! Training for the fundamentals of using poles. Whether a beginner or aiming to learn some new tricks, participation is open to all. 1 Groups consist of 2-5 people. 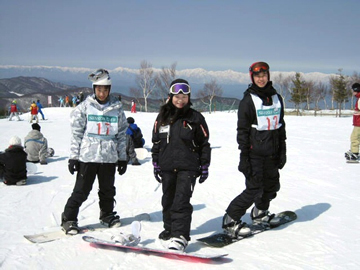 With only 2 days of practice, even first time boarders are able to ride the lifts and slopes. There is no international certification awarded in the snowboarding class. There is no snowboarding class in course No. 197.208. 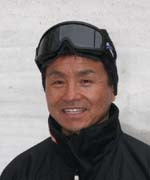 A kind man who can do both ski and snowboard.Let's try to safety snowboarding! 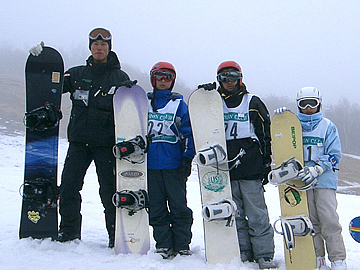 The snowboarding classes are in groups of 2-5 people. Helmets are required for all. Each board class must have more than one person. 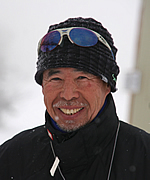 Each ski/competition ski class class must have more than 2 people. However, classes may be called off if there are less than 4 people per class. If applying by Internet, Snow Circle participation will be discounted by 1,500 yen. For more information, refer to the internet discount conditions. There is no snowboarding class in course No. 161226&170325. With only 2 days of practice, even first time skiers and boarders are able to ride the lifts and slopes. 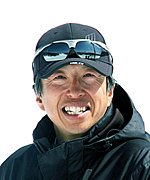 For each course applied to by internet, a discount of 1,500 yen will be applied. For more information, please see the internet discount conditions. The member rate is applied if the participant has experience with snow circle and has applied at least two times within the same term. 4 days and 3 nights. Lift is free of charge for primary schoolchildren every third Sunday of the month! Morning departures are at about 9:00 a.m. Evening departures are at about 6:00 p.m. Between 5:30 p.m. and 6:00 p.m.
※For those using Suica, PASMO, etc, please finish the ticket checking procedure before meeting. For evening departures, please have dinner before joining or bring a boxed meal. ※The schedule may be adjusted depending on the the time and day. We will meet at Ueda Station for the Shinshu Ueda program. Please contact us for details. For morning departures, please have breakfast before joining. After applying, details regarding the meeting location and other important points will be sent no later than 2 weeks before the departure date. If planning to attend with a friend or in a group, please be sure to write all names in the appropriate box on the application form. Please be sure that your child will be able to carry his/her own luggage. You may have you send your child's board/boots separately. Yamato shuttle flight is convenient. The belonging list is here. If applying for both winter vacation courses 161222 and 161226,　170103 and 170106, a 4,500 yen lodging fee is necessary for each day in between courses. This also applies for spring vacation courses 170318, 170321, 170325 and 170329. Breakfast and dinner is not included with the lodging fee. If you have a group of 7 or more, In the case of group participation more than six, you can also consult about the schedule except the above. The deadline to apply is 20 days prior to the scheduled departure date. However, please feel free to make an inquiry even if the desired course is already within 20 days. ・The lift charges become the actual expenses for the number of embarkation of each person. ・International certification registration authorization and acknowledgement medal fees for those who pass the test are between 1,200-1,600 yen. Applications can be accepted through the internet, mail, or fax. If applying online, a 1500 yen discount will be added. However, please be sure that the following conditions can be met. All documents and inquiries can be submitted by email. You will need a printer capable of printing guides and other materials. You will need an email address that you have direct access to (excluding cell phone mail). Adobe Acrobat Reader is installed and can be used (Acrobat can be downloaded for free). Please check the availability of the course you would like to participate in with the schedule above. Please contact us If you have a group. Download the application form below labeled "Application 1" (a Microsoft Excel file), or "Application 2" (if you do not have Microsoft Excel). Application forms can also be requested via email. If using “Application form 1”, please complete the form and email it as an attachment. Please send one application form per participant. According to the contents of the application, we will send detailed statement and a reservation confirmation. If you do not receive a reservation confirmation within one week , please contact us to verify your application was received. Please pay either the full amount of the fee or an application fee 3,000 yen to a designated account within seven days of receiving your reservation confirmation. If no payment is received, your reservation may be replaced by another person awaiting cancellation. Please pay the remainder to a designated account no later than 20 days before the course start date. We will send a guide book which includes details regarding meeting times, a list of what should be brought, and other instructions which you will receive no later than ten days prior to the course start date. Please send applications after October 1st. Please be aware that applications received before October 1st will be dated as received on October 2nd. Please check the availability of the course you would like to participate in with the schedule above and inform us a time you want to participate, and the number of people and gender. Please request or download the application form below, then send it in by fax, mail or as an email attachment. Please send one application per participant (e.g. if two brothers will be attending, two separate applications will be necessary). Once we have received the application, we will send a reservation confirmation which includes the total amount for the participation fee and transportation expenses. Please contact us if you do not receive the confirmation within ten days. Please pay 3,000 yen as a reservation fee or the full amount within seven days of receiving your reservation confirmation. Please pay the remainder to a designated account no later than 20 days before the course start date. PDF requires Acrobat version 5.0 or higher. Click here to download Acrobat for free from Adobe. ※Please be aware that in the event that medical attention should be required, information from this application may be disclosed to a medical institution. Please understand that you will have to bear the bank transfer fee. We do not accept payment via registered mail. If the payment is made from a name that differs from the applicant's (your child), please be sure to indicate the name of who is sending the money in the application. In addition, please fill in the full name of all members in the "simultaneous applicants name column" if payment for multiple applicants is made at one time. Please consult us if there are any matters that require special attention regarding your child. Course numbers marked with SP are offered for scheduled dates. For any changes or cancellations, the following fees will be applied. Percentages are of the total participation fee. Copyright(C)2010 Lezaty All rights reserved.